NASCAR racing tires operate at an average of 200-260 degrees Fahrenheit. Antarctic tundra tires cruise through snow drifts at negative 40 degrees Fahrenheit, and the typical SUV tire rotates some 42 million times throughout its lifetime. Tires are one of the most under-appreciated parts of the automobile, laboring in harsh environments. Is it any wonder they break down? A tire is an alchemist’s dream, a blend of rubber and filler reinforced by steel bands and somehow squeezed, pressed and extruded into a black donut with thick tread. The primary component in any tire is rubber, which could be natural rubber, styrene-butadiene rubber, polybutadiene rubber, or butyl rubber. Tires age the same way as humans. As they age, they lose flexibility. Blame oxygen. Elevated temperatures exacerbate the reaction. Anti-aging chemicals, activated by operating temperature, prevent premature cracking, but most all tires depart for the Happy Hunting Grounds by age 10 no matter the tire protection. 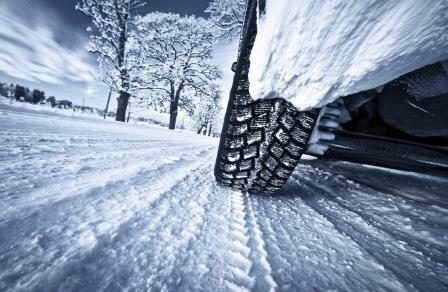 Some tires, particularly summer tires exposed to winter conditions or vice versa, mature by six. Tires may weather faster in urban areas. They degrade with exposure to ultraviolet radiation and ozone, a lightweight gas found in the atmosphere and caused by the partial breakdown of air from atmospheric electric discharges. Harsh solvents and detergents used to detail tires can indirectly cause cracking. Tires are manufactured with anti-oxidation and anti-ozone protective tire protection layers, which are designed to shield from the solvents, salt, oil and fluids on American roads. Harsh cleaning chemicals can strip a tire of its clothing, as it were, and leave it exposed to ozone and sunlight without UV protection. Fast ‘n’ furious driving can cause tires to age too soon. So can scraping against a concrete curb. Also, under-inflated or overinflated tires place undue stress on tire sidewalls and cause fissures and flaws. Most manufacturers recommend tires be replaced 10 years from the date of origin. Premature cracking can slice the life of a rubber tire in half. Thankfully, there are ways to thwart early cracking. The simplest solution to prevent tire cracking comes from mom: Drive safely. Skidding around corners raises the temperature of a tire, aggravating current cracks and egging on new ones. High-speed braking does the same. Much like bread is kneaded, a tire is “worked” when driven. 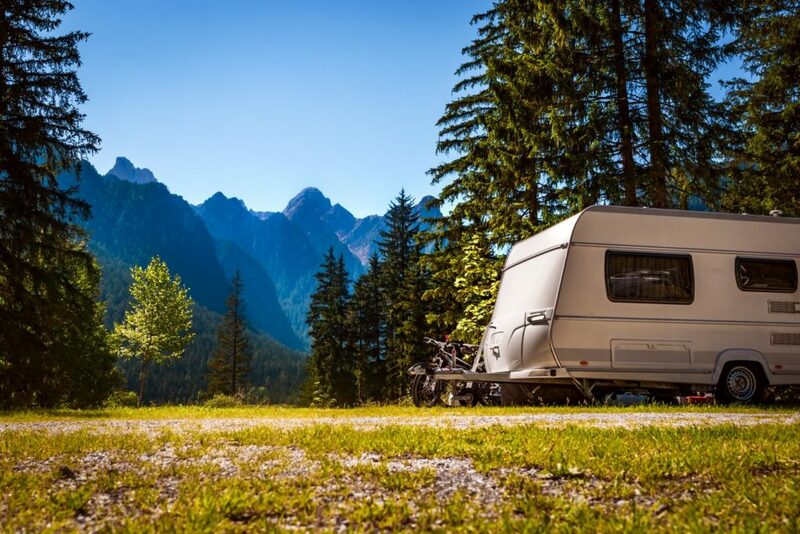 Unfortunately, many fifth-wheel trailer and RV drivers only take to the streets a few times a year, leaving their tires to rot in the dryness of winter. Driving a trailer every other month can reap dividends over the life of the vehicle. Use covers for tire UV protection during the off-season. Can 303® Aerospace Protectant Prevent Cracked Tires & Tire Rot? 303 Protectant is a water-based application used to dress rubber, plastics, vinyl and treated leather. The surface treatment lays down a thin, flexible shield that has tire UV protection. Uses for the 303 Automotive Protectant are endless. Enthusiasts dab the non-oily spray on rubber, plastic, and metal, While professional fishermen use it to protect their boats from premature damage and wear. But most importantly, the product prevents cracked tires. A quick coating, reapplied every 4-8 weeks, is a quick blast of tire UV protection. The water-based tire protectant douses the sidewalls in moisture, protecting them against dry rot and giving the rubber a rich, waxy gleam. Be it a NASCAR, Arctic or commuter tire, everyone deserves the best in tire protection: 303 Automotive Protectant. Try Our New 303 Automotive Tire Balm & Protectant! I’m disabled and live on s tight budget. If possible, do you have any coupons for you new new tire balm and protection for tires. For the coupons(I will need about 3 containers), I will spread on social media, FB, etc. how good this balm is for my motorcycle friends and all my auto owners. I have a couple of RV and off the road friend. I have approximately 987 followers and of course they have their friends that probably use Armoral. I may help your sells. I promise I definitely will have some, let’s say I will do my …..
… M.McGee, 3480 banks rd. 107, Margate, Florida 33063. Please help and I’ll do my share. You have my word!!! Hi Monty, we will see what we can do. Keep an eye out for the mail!